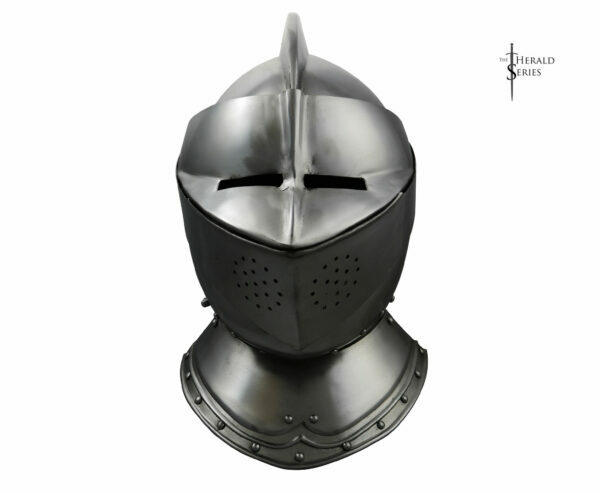 The Wallace Collection is an internationally outstanding collection which contains unsurpassed masterpieces of paintings, sculpture, furniture, arms and armor and porcelain. 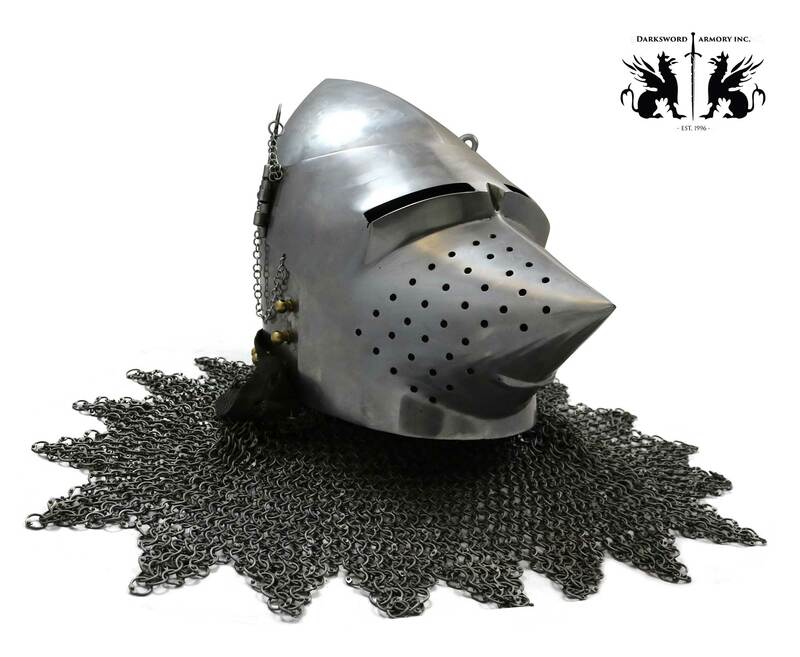 Built over the eighteenth and nineteenth centuries by the Marquesses of Hertford and Sir Richard Wallace, it is one of the finest and most celebrated collections in the world. 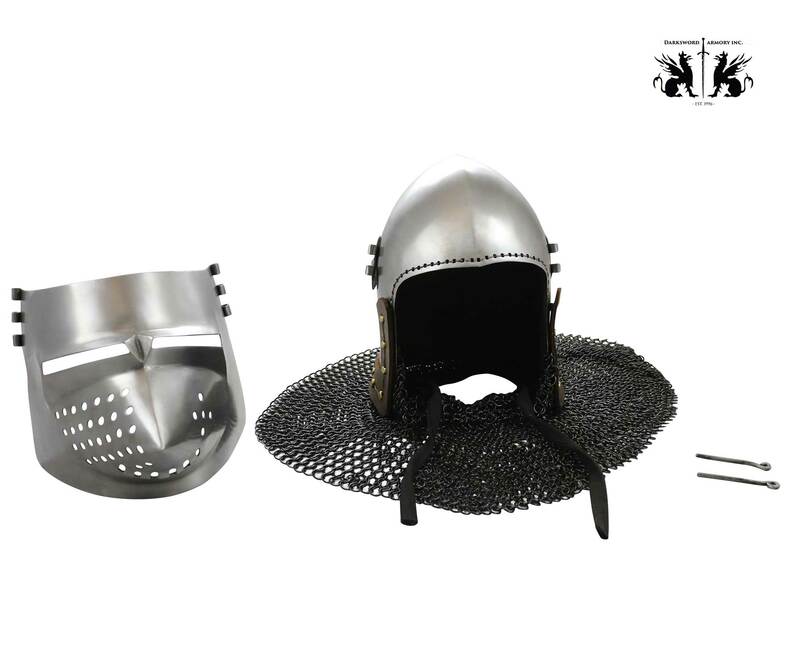 So that it could be kept together and enjoyed by generations of visitors, the collection was given to the British Nation in 1897. 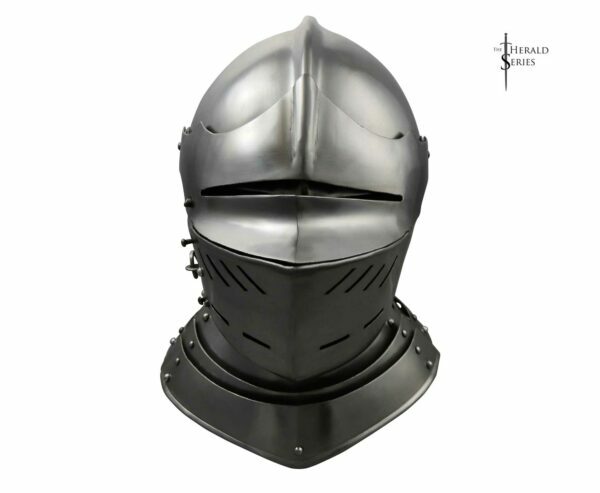 Our Wallace Collection Bascinet is inspired by the “A69 Visored Helmet (bascinet)” in the Wallace Collection. 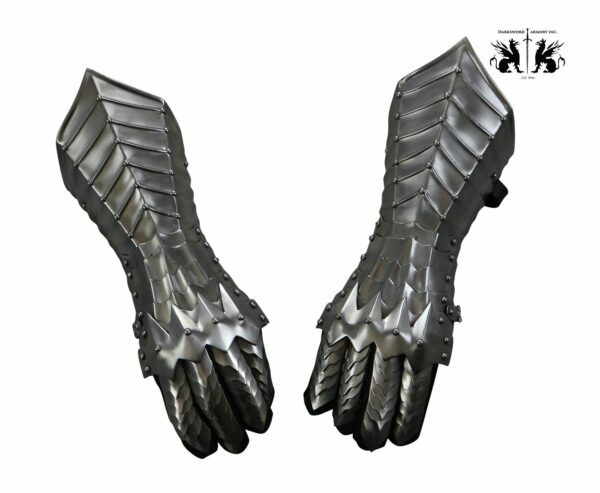 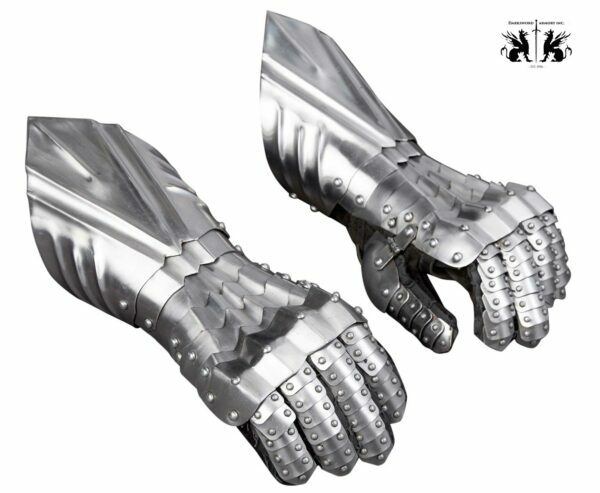 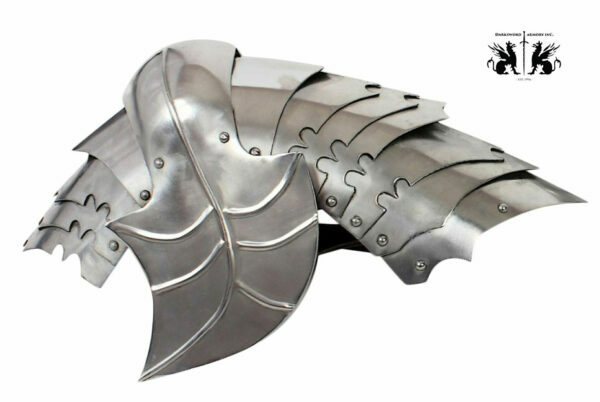 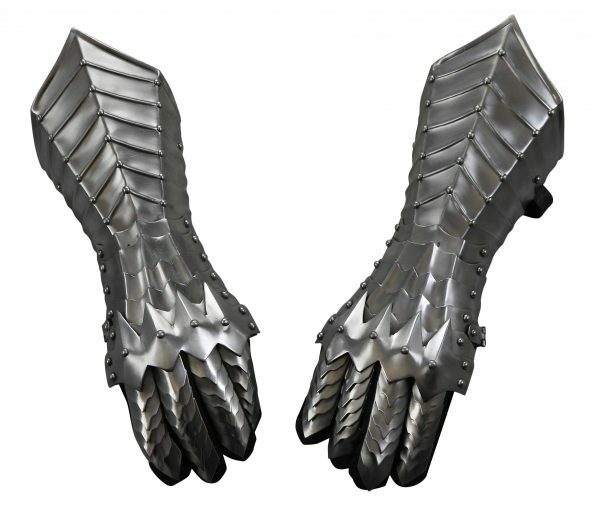 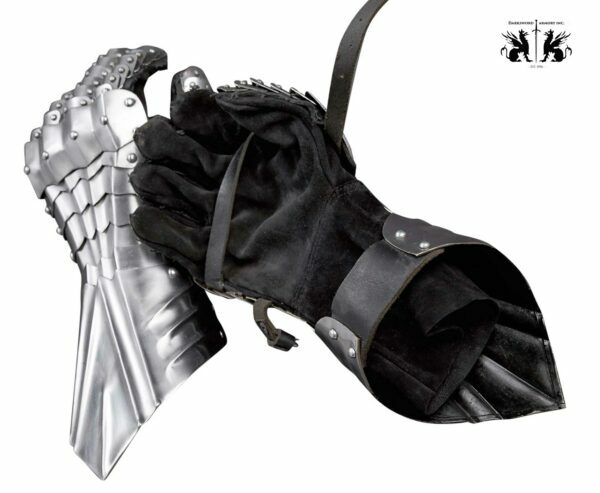 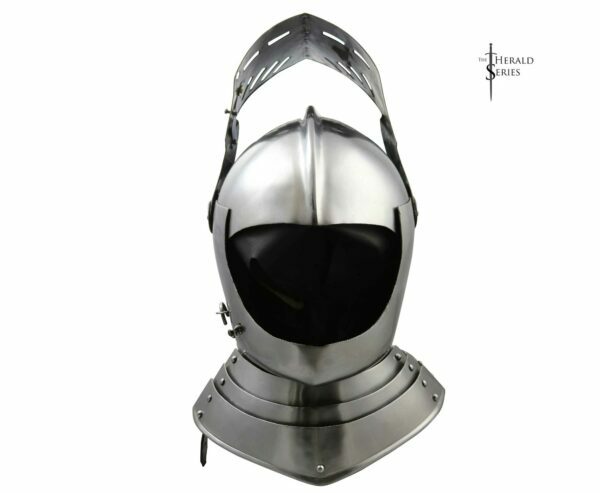 Because the Bascinet was popular for over a hundred years, there are many variations in its appearance and shape. 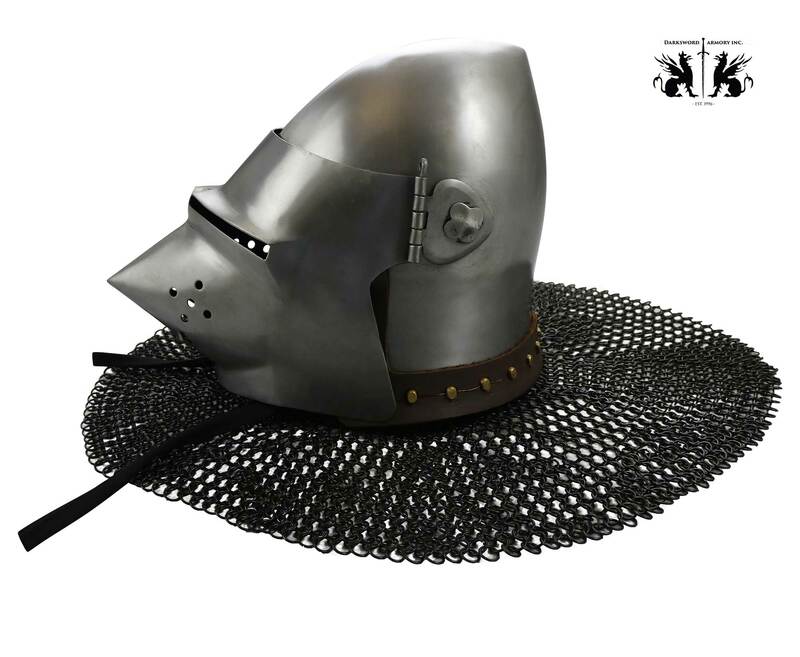 Early Bascinets were worn over or under a mail coif with a arming cap and around 1330 an aventail (mail covering the neck and shoulders) and face plates or visors became commonplace. 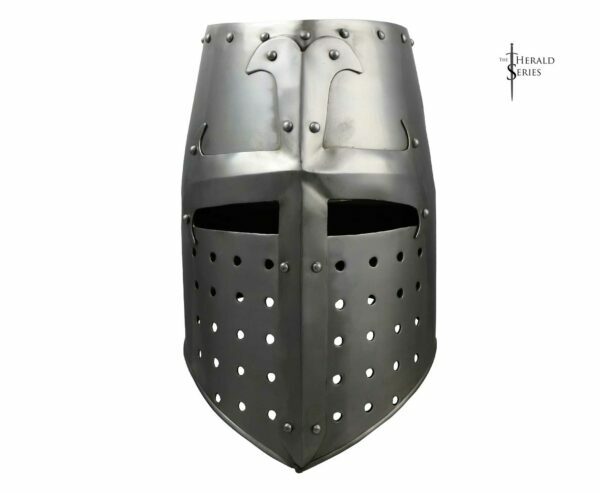 The shape of the helmet also saw continuous change as the sides became longer to provide better protection and padded liners were often attached to the inside of the helmet. 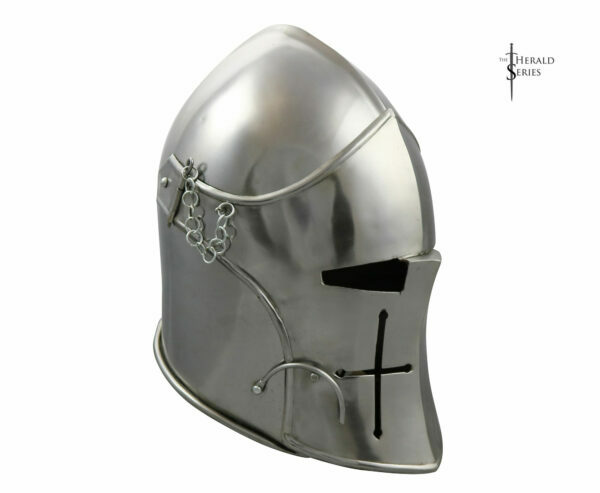 Rounded, globular, conical, and pointed variations of the helmets were all popular. 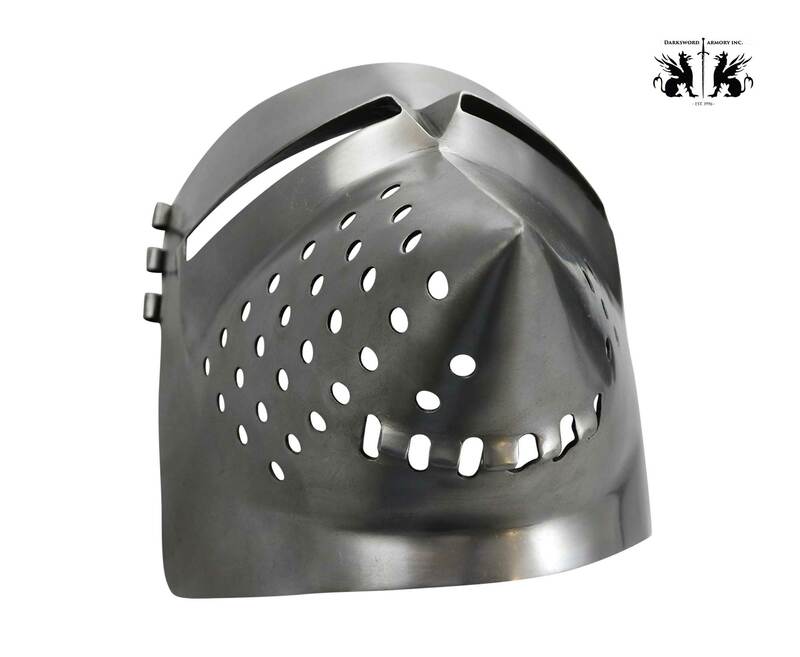 The method of attachment and shape of the faceplate or visor changed continuously to offer better protection, visibility, breathing, ventilation and decoration. 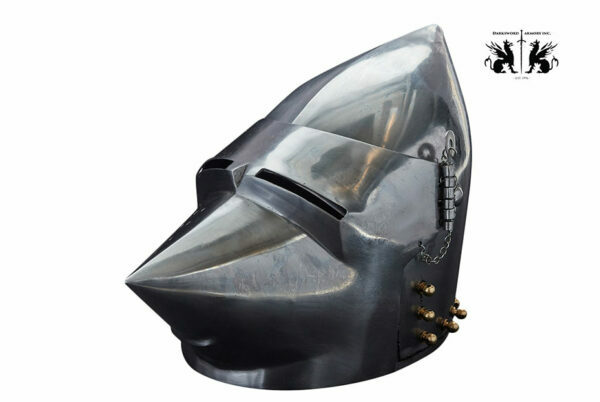 Visors were removable and held in place by locking pins and could be attached by a central pin (klappvisor) or by two hinges on the sides of the helmet. 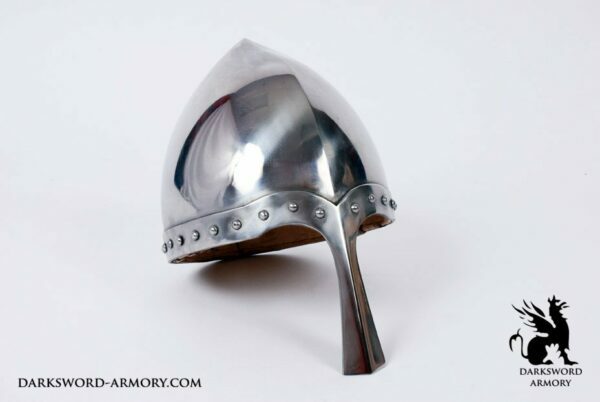 The visor had various shapes; flat, conical or round convex. 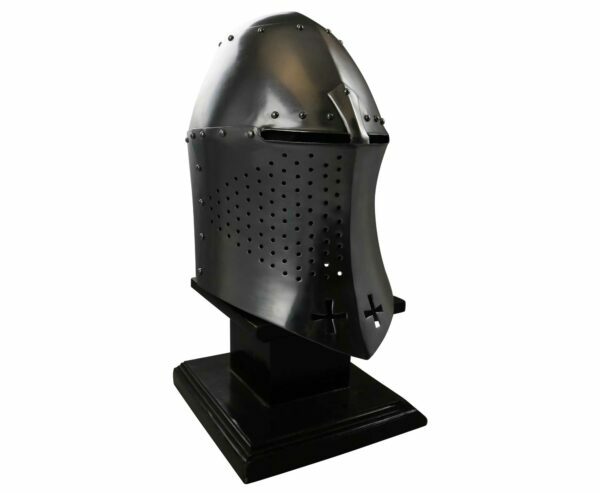 The Wallace Bascinet Helmet is dated between 1380 -1410 and a Northern Italian design. 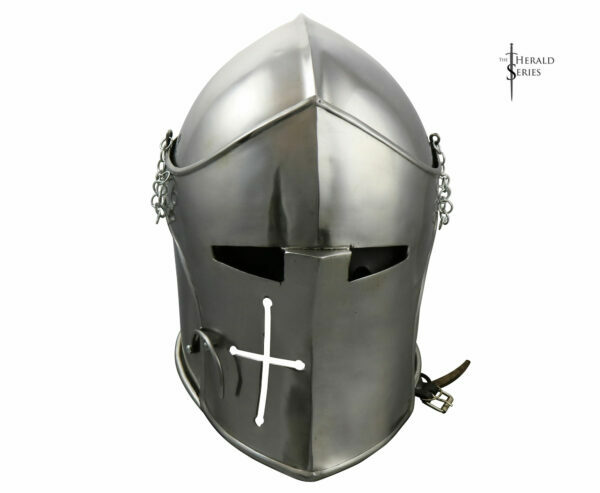 The classic pointed visor commonly results in this type of helmet being referred to as a “hound skull” or “pig face” bascinet. 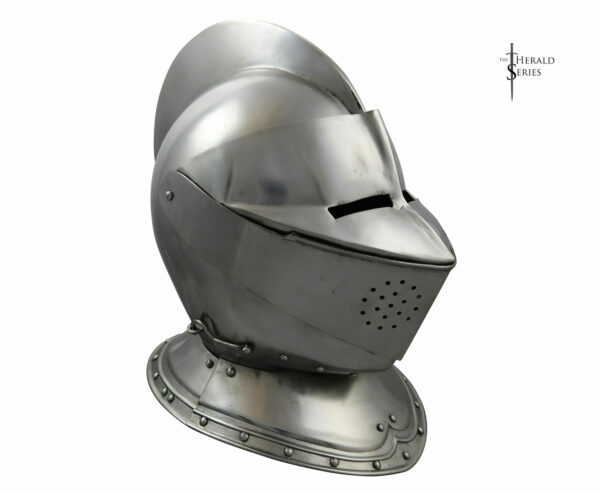 This type of visor was effective at deflecting blows and its elongated shape improved breathing and ventilation. 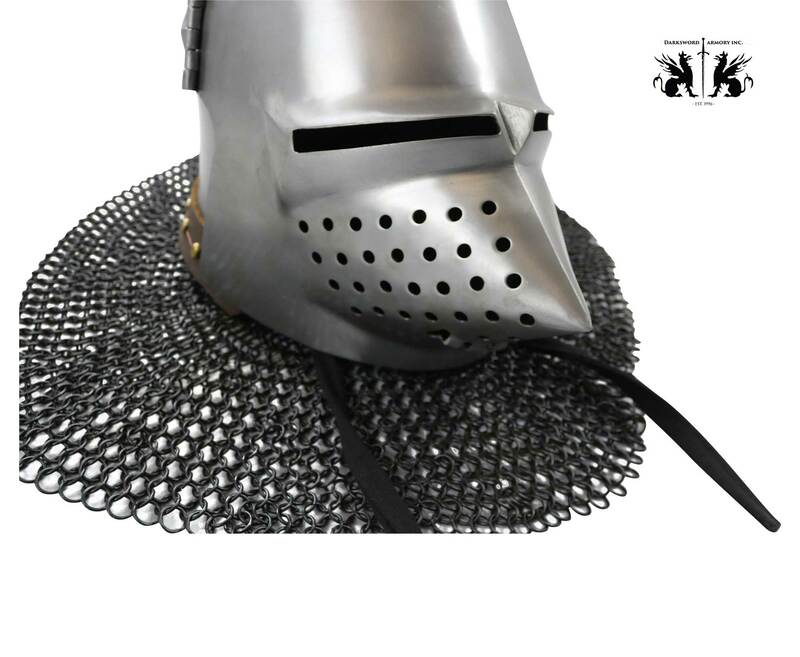 The visor could be opened or removed as battle conditions dictated. 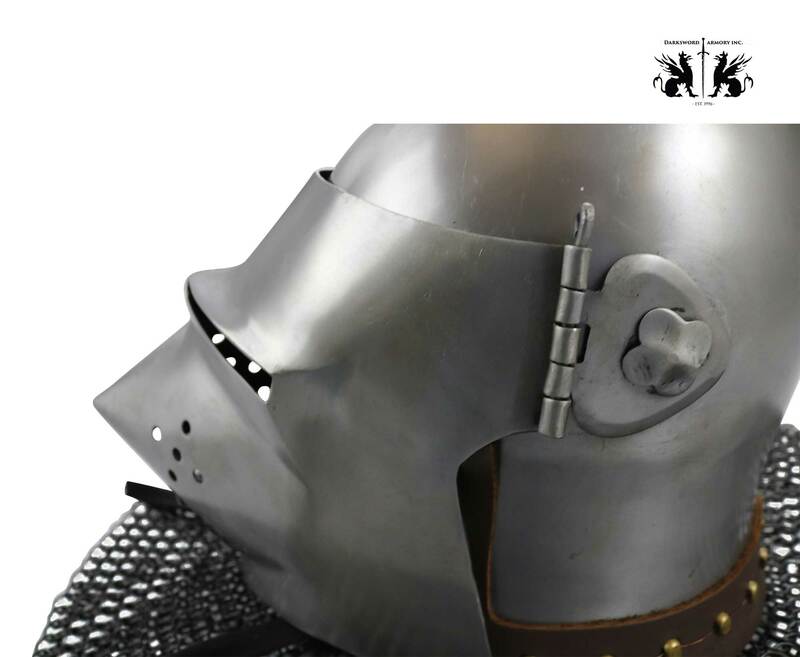 The visor of this helmet is held in place by two removable hinge pins and moves up and down to open or close on two pivot points, one on each side of the helmet. 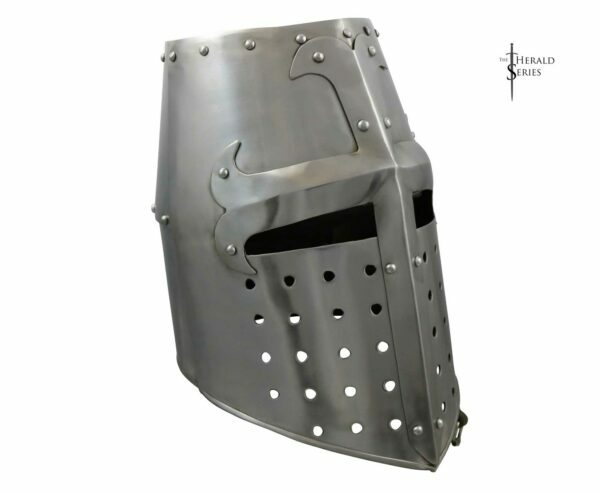 The the inside of the helmet has a cloth, hand sewn liner/arming cap (sewn to holes made around the helmet) to cushion and protect the head and straps to secure the helmet on the head. 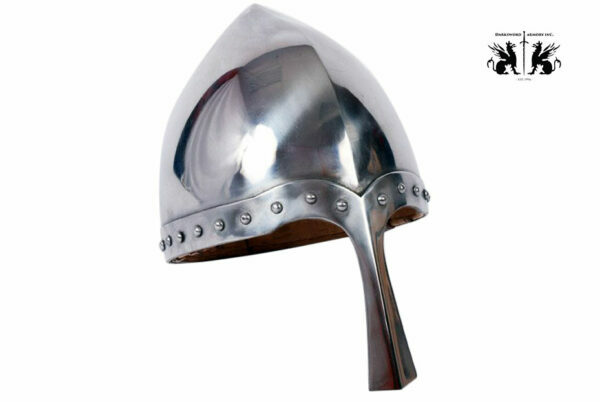 Twenty one brass vervelles or rivets that run along the bottom and side edges of the face of the helmet allow an aventail (mail covering the neck and shoulders) to be attached. 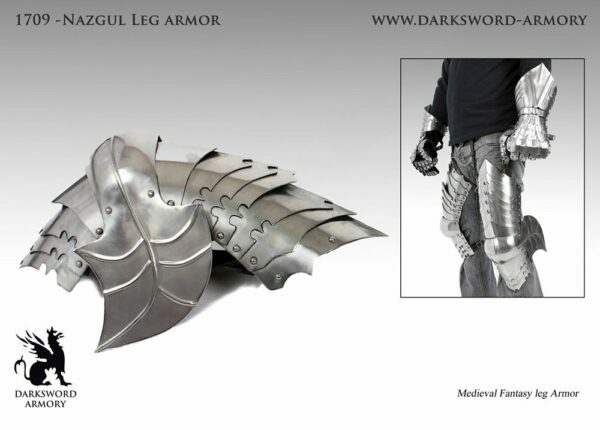 The removable aventail has been blackened and is made from butted mail. 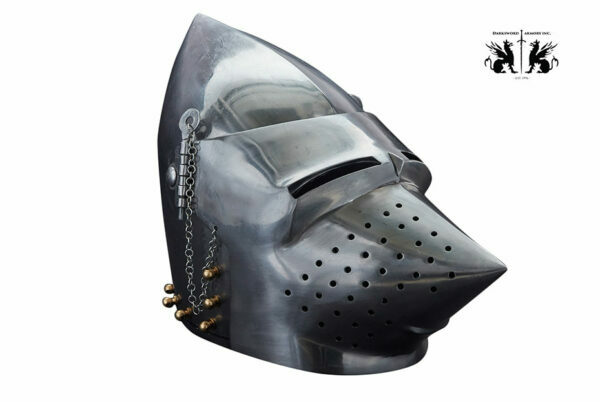 The mail is attached to a leather band which has holes that fit over the vervelles to attach it to the helmet. 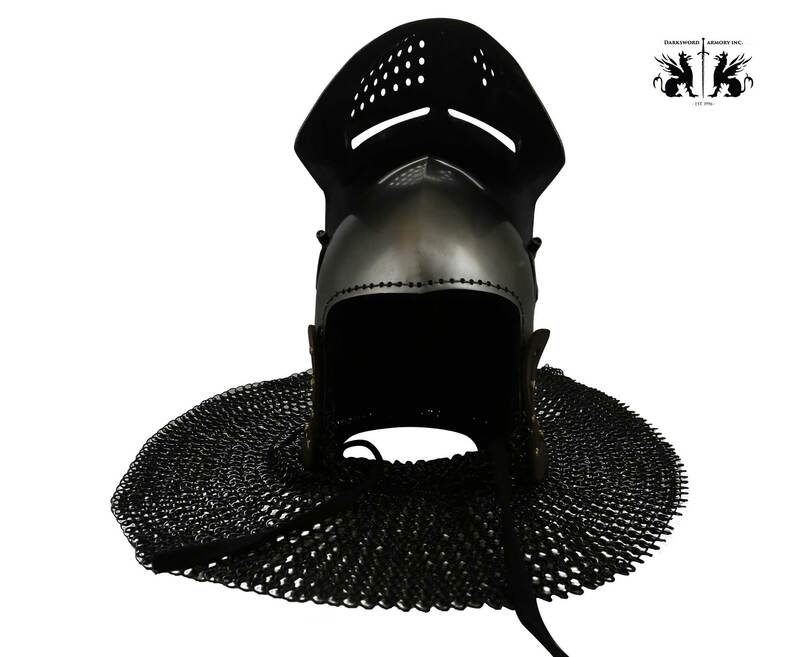 Once the aventail is attached, a copper wire runs through the holes in the vervelles to secure the aventail to the helmet. 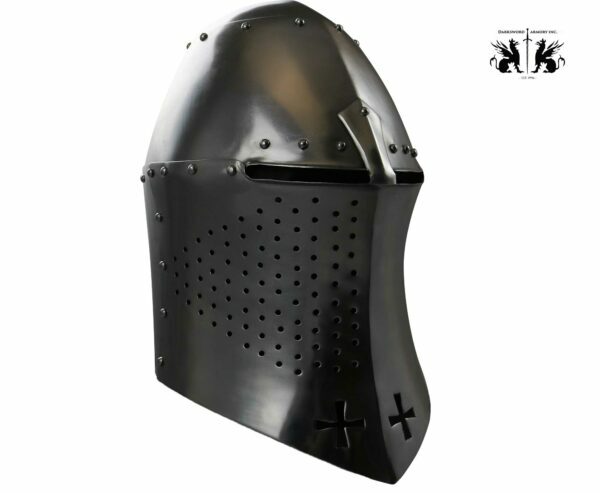 Interior surfaces of the helmet have been painted black to reduce maintenance.